COMPANIES PRESENT THEMSELVES to clients as reliable sources of expertise and exemplars of technical and professional competence. But it is very clear that there are still large numbers of companies with fragmented data, preventing them from giving their teams access to live information from one definitive version of information. 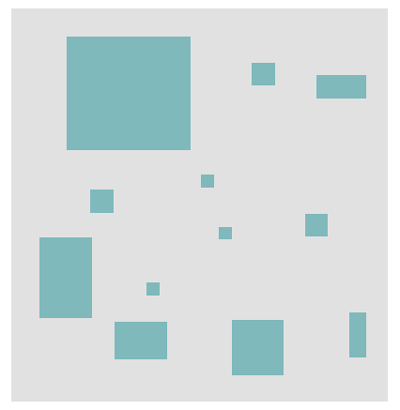 This affects data on projects, clients, estimates, time, scheduling and so on. It seriously compromises their ability to deliver on client expectations. The solution, clearly, is to pull all the information together. "Information silos are the scourge whose downfall has been foretold ever since the rise of enterprise resource planning in the 1990s, but today their demise remains far from assured." 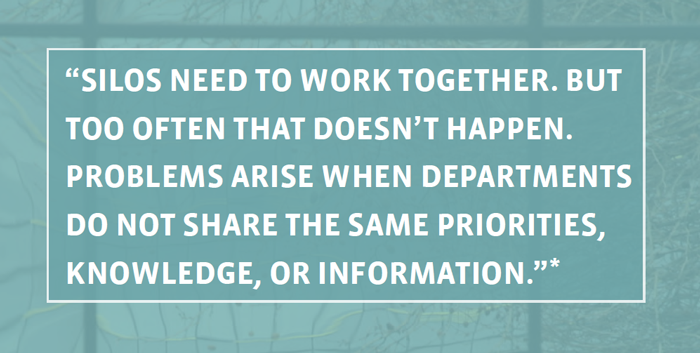 “Duplication of data and efforts, data-quality issues and those dreaded silos prevent data and insights from being shared with other parts of the organization”. It results in “time wasted arguing about whose results are right, misguided decisions and higher cost. Most importantly, the organization cannot become truly data-driven in its decision-making, which is likely sooner or later to lead to competitive disadvantage”. Data created by individuals is produced with the best of intentions – usually to glean new insights from it. But it is unstructured. Definitions and terms often differ from the main data set, and various assumptions, some of which may be wrong, will underlie the exercise. It makes it hugely difficult to validate or to safely share with others or reintroduce it to the main data set. What starts out as a helpful attempt at intelligence-building becomes out of date within days or even hours and then remains frozen. Attempting to update it from time to time can be dangerous, as new errors can be introduced. Furthermore, it is hard to know who then used which version. The above Computerworld article noted that company data in multiple places is particularly vulnerable when needed quickly. Worse, the user can then become more familiar with their off-line process than with the main data set, resulting in them trusting it more than they should, grabbing stale or erroneous information when in a hurry. It should also be noted that when people are in a hurry they are usually about to make a decision. You recruit people and nurture them to ensure they have the expertise to perform the task the customer requires. But do they have the knowledge to perform as well for your business? How is the project progressing vs the plan? Progression? budget use? What’s holding a project up or allowing it to progresses quicker than planned? How have similar projects performed previously, and what can be learned from them? Who have you sourced related expertise and equipment from previously? Have you discussed other related work with a different division of this organisation or from another of your offices? Have you agreed certain rates with an organisation? Ensuring your team has instant access to all this information enables them to make timely, effective decisions, improve the performance of their projects and deliver from the perspective of your entire business. 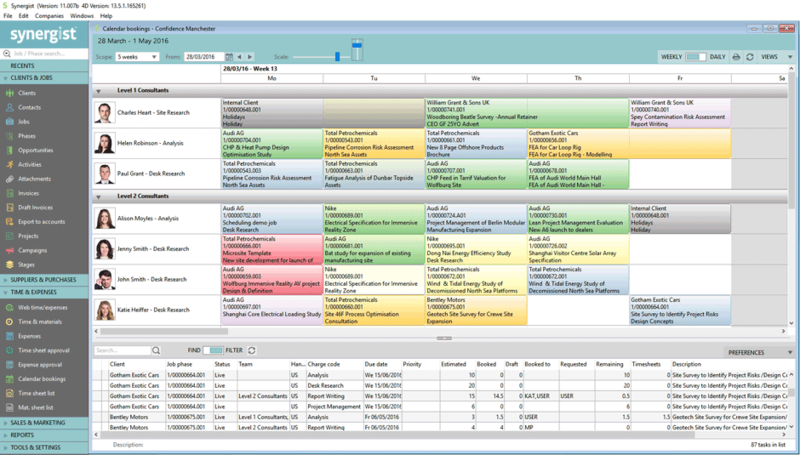 Dashboard summary of projects identify areas requiring attention. Instant drill-down to the finer details to investigate any issue that’s identified. Instant access to any project-related communications or documents for both current and historical work. A live view of all projects in a format familiar to all users. Live visibility of both current and planned resource availability. A single store of all project information including communications, documents, time and financials. This instant access to information allows you to work more effectively as a team, being able to better share resources across projects as well as ensuring it’s far easier to cover for staff even in the event of change of project manager etc. Having easy access to historical projects also allows lessons to be learnt regarding actual costs of delivering particular types of projects. Standard familiar format for all financial information related to a project. All project documents and emails can be attached for instant access by any user with sufficient access rights. Browser-based access ensures being out of the office is no barrier to having secure access to this wealth of shared information. Your clients value you for your expertise and problem solving skills, but what do you do to encourage your team to utilise their creative problem-solving to continually improve the efficiency of your business? Sharing reliable, accurate information with your team encourages everyone to consider how they could work more effectively. This encourages a culture of shared responsibility for the profitability of the business and can deliver dramatic unexpected gains and a more motivated team. 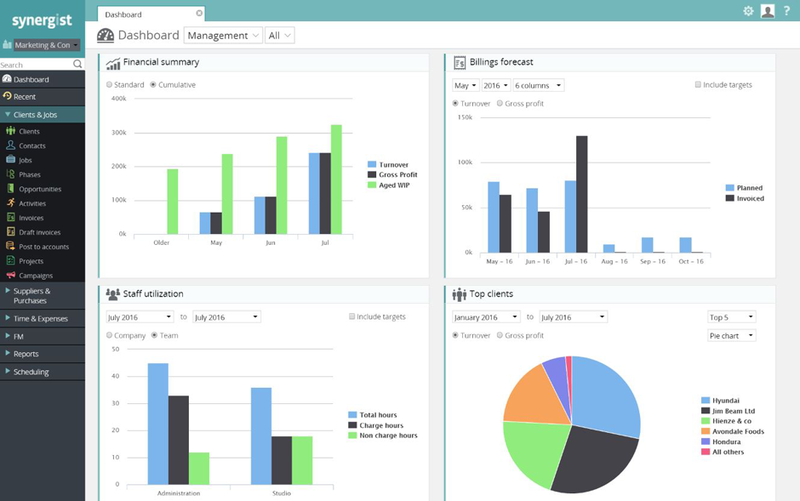 Dashboards give visibility of the performance trends of individual projects as well as the entire business. Targets can be set allowing clear measurability against a defined level giving clear business performance information. At the point of billing, having a completely trusted list of costs incurred encourages inclusion of all chargeable elements, safe in the knowledge that you have the evidence to back this up. If clients query an invoice or a proje ct’s progress, for example, the person receiving the query will have the confidence in the data to address it immediately, ensuring a great customer experience. Taking big strategic business decisions that significantly affect the future of your business is fraught with risk if the y are not based on re liable data. Synergist’s powerful reporting tools make this critical data easily accessible, allowing decisions to be taken with confidence. Making it easy to enter costs, whether in the office or on the road, ensures Synergist displays the most up-to-date and comprehensive view of a project’s costs every time it’s accessed. By presenting comprehensive information in a standard manner, users know they only have to look at Synergist to make a confident informed decision. 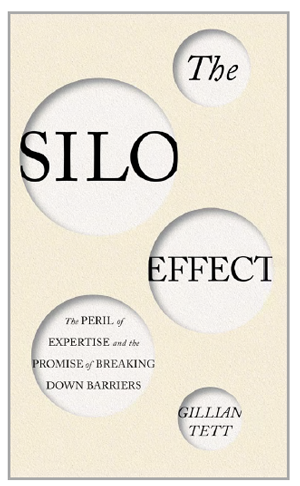 In GILLIAN TETT'S BESTSELLING BUSINESS BOOK The Silo Effect the author argues that people often act foolishly, even dangerously, when imprisoned in silos in the workplace. Tett's conclusion is that silos are created with ease because businesses are obsessed with creating functional departments. This can hinder companies, cause normally clever people to act collectively in stupid ways, and sometimes cause a business to fail. Even small businesses have self-enclosed departments that find it difficult to communicate with others. Each has a different focus, priorities, even vocabulary. A common example is the accounting / finance team ‘versus’ the rest of the business. Yet if they understood each other’s objectives and challenges better they could make decisions that would benefit the company enormously. So when a business system such as Synergist comes along, giving members of every team immediate visibility of information, each individual sees the implications of their decisions far more clearly. Boundaries and misunderstandings between departments can melt away. Many of our clients tell us that this is a game-changer. Every business will have particular additional benefits from an all-linked-together system. Tim Knowles, Finance & Commercial Director of environmental planning consultancy EDP has multiple offices to contend with. “Billing was often late. When part of a project was completed it took time and effort to pull together all the costs and times and check for accuracy. There was very often a delay of two or three weeks before the invoice was sent out, which of course hurt cash flow.